Receiving my beautifully designed glass award was like winning the Sam Maguire! It meant my hard work was recognised by my peers. 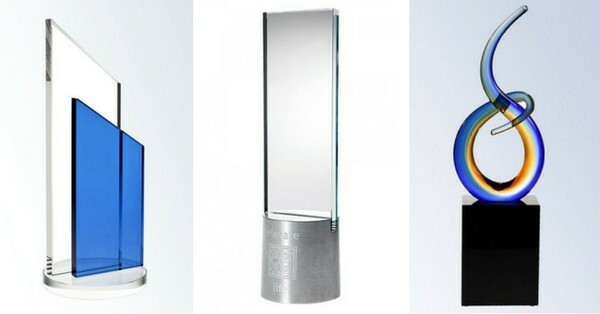 Gift Innovations assist organisations to choose and design glass awards for their award celebrations. We enjoy hearing about the achievements of their colleagues. Sometimes it’s a story of how one person’s sheer persistence won through in the end. Other times the story revolves around the great leadership of a team who delivered a challenging project, on time. Such hard work, dedication and leadership beg to be recognised and celebrated. Whether you are looking to present a prestigious, once-off award, or you require a number of identical, personalised awards, Gift Innovations can help you to choose and design smart and striking awards that celebrate your champions. We offer standard glass awards and bespoke designs in crystal, glass and other materials, all of which can be engraved with your logo and text. Please contact us to discuss your needs to ensure your awards make the right statement on the night to your winners – and inspire future winners.